We see the hidden value of everyday waste. RecyclePoints is enabling individuals, particularly from low-income households, to create value from their everyday waste. 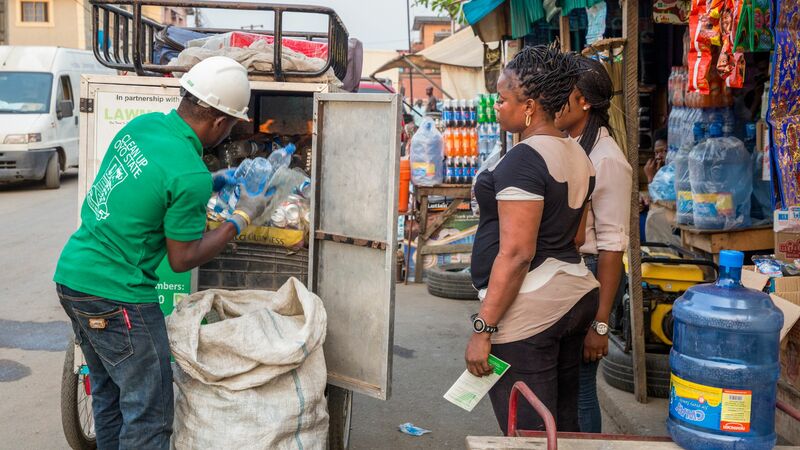 We operate an incentive-based model which collects recyclable waste materials from registered households, and in turn rewards them with points, which they can accumulate and redeem for cash or other useful items offered through our iRecycle Store. We employ young ‘Wastebusters’ to ride our electric tricycles and collect door-to-door recyclable waste such as plastic bottles, aluminum cans, newspapers, or cartons. These items are then processed at our Collection & Sorting Hub by unemployed women within the community, and sold on to recycling plants to use as raw materials for new products. Funding would allow us to further our impact on the environment and society. RecyclePoints supports environmental sustainability, and engages the community to be part of the solution. With additional funds we could expand our operations and impact, within our current city and to other states. It would help us purchase new equipment and replicate our solution in a franchise model. This will make a real difference in Nigeria and beyond, where it is very common to see littered streets, clogged drainages and overflowing dumpsites. 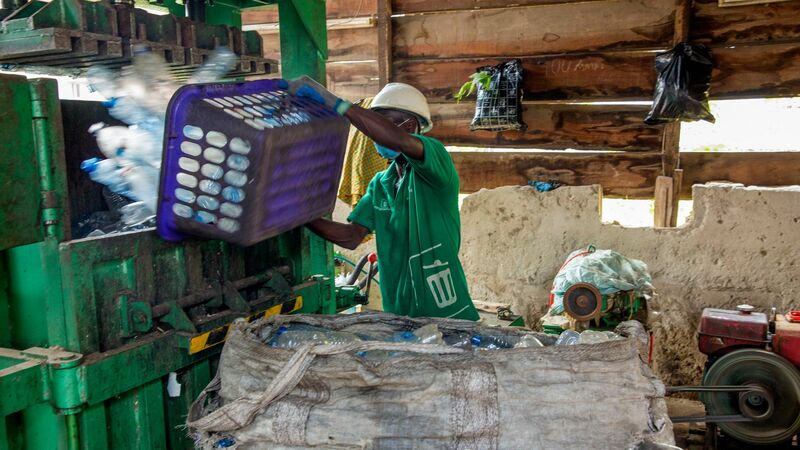 By facilitating recycling, we help prevent the emission of greenhouse gases that give rise to climate change - while creating jobs and opportunities for underprivileged communities in the process. RecyclePoints was inspired by a fine. While on a family vacation abroad some years ago, we wrongly trashed our waste and got fined for it. 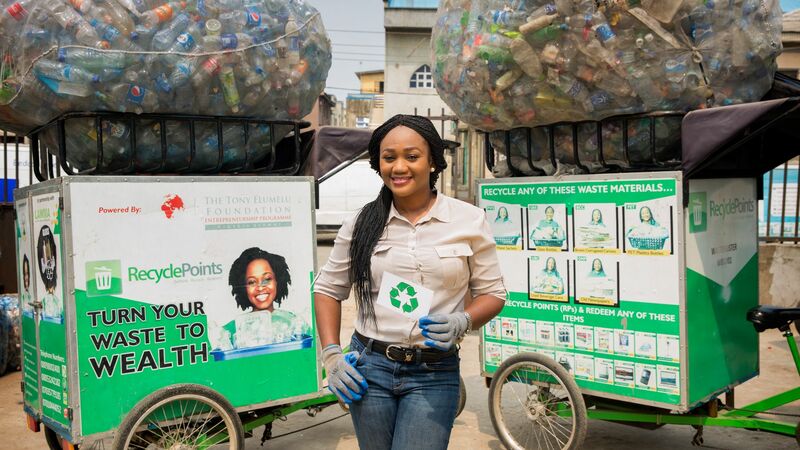 We came home motivated by this incident to come up with a waste management solution that would suit the Nigerian ethos and the result was RecyclePoints, which actually started in my kitchen.